It’s hard to describe how a mountain child like me can be so fascinated by a water-logged channel in the backyard of Cochin. Think: a vast expanse of greenish-blue water, where the only ripples are those created by fish and ducks, and by the house boat on the deck of which you’re royally seated, greeted every now and then by a salty breeze. 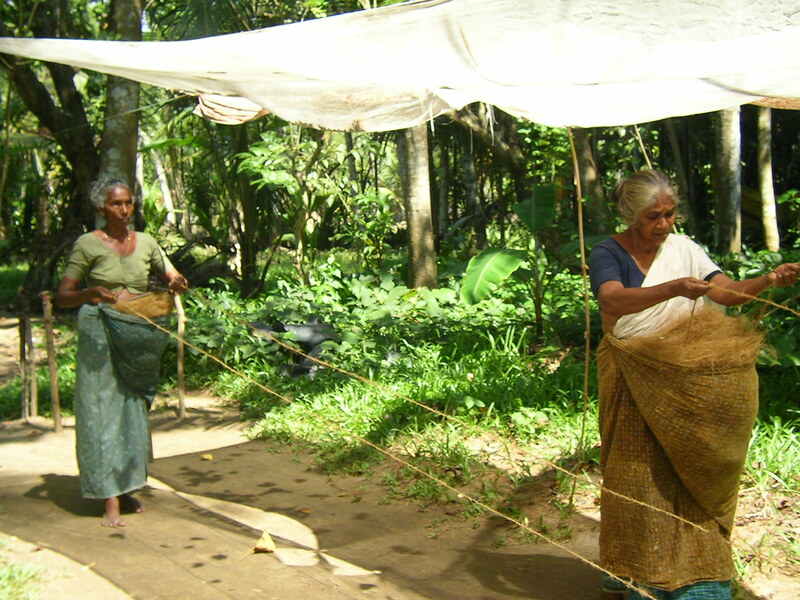 The palms occasionally give way to little coastal villages, one of which we stop at to watch elderly women weave ropes in their primitive ways. 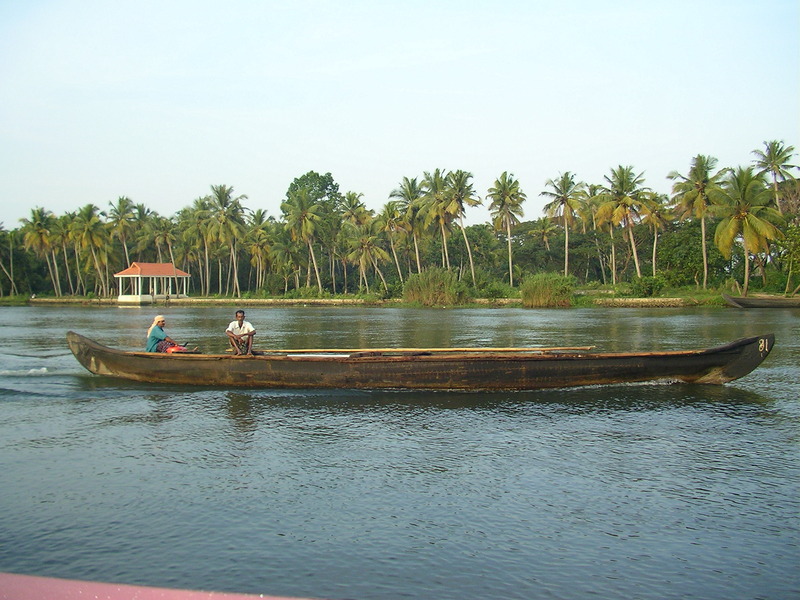 A typical house boat on the backwaters. Photo credit: Jiths. 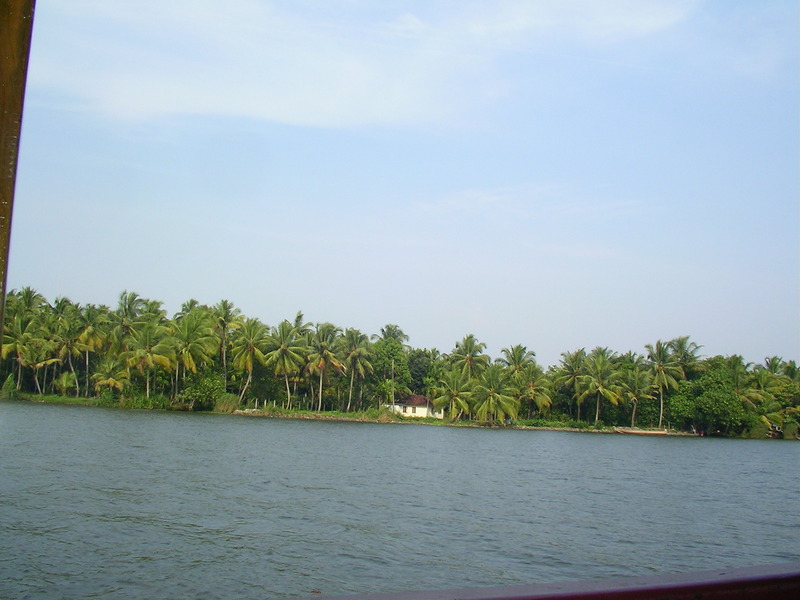 View of the backwaters from our houseboat. Coastal women weaving ropes and fascinating us onlookers. The landscape barely changes for hours, and yet my eyes remain fixated on the water and the horizon beyond. An aura of serenity establishes itself on the boat; no chatter, no movement, just a silent rowing to no destination. As the sun spots dissolve on the deck, I watch the sun tease the sky with its colors, before rapidly sinking into the horizon. I have seen mountain sunsets, but watching the sun sink low enough to prove that the earth is round, is something else. The sun paints the sky & the backwaters. Photo credit: McKay Savage. At the first sign of darkness, stars fill the sky with their twinkling selves, and home-bound fishermen fill the backwaters with little boats and kayaks. Four years on, I can still reconstruct my memory of their darkened faces, their bright smiles, and their enthusiastic waves to us – travelers curiously discovering their lands waters. Shivya, This is the place I belong too. everywhere we find lagoons , coconut plantations, boats greenery and to make the atmosphere more attractive the monsoons. I miss my home town. Lucky you! I’m sure you get to go there more often than any of the rest of us. Would love to read your thoughts about it someday! I really want to go to Kerala. I have been to Bangalore and Mysore for a friend’s wedding and later Goa. I loved India, especially the people. Kerala is at the top of my list of places to go. It sounds so tranquil. I enjoyed virtualy sitting in that boat with you. Nice Article.. you beautifully portrayed my place.. Thanks for including my photo.. Previous PostThe Coolest Social Media Campaign in Travel. Next PostPranpur: The India That Rejoices in its Crafts.